Please join us for Parkview's Family Reading Day on April 2, 2019! Reading Times: Kindergarten: 8-8:45 am; AM PreK & Lil’ Dragons Prek: 8:30-9:15 am; 1st Grade: 9-9:45 am; 2nd Grade: 10-10:45 am; and PM PreK: 12-12:45 am. Classes at Parkview Elementary will resume on Monday, January 7. Hopefully you had an amazing break! We look forward to seeing you! 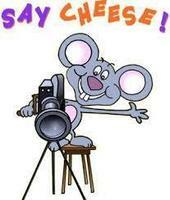 School Picture Day for Parkview Elementary will be September 24th. Be on the lookout for a picture packet in your child's backpack in the next couple of weeks. Thanks!